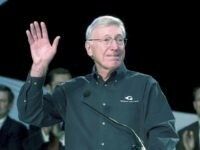 PBS ombudsman Michael Getler said that his public TV station did a “good job” with its internal review of the circumstances surrounding censorship of actor Ben Affleck’s episode of genealogy series Finding Your Roots, but said the show’s producers made a “deadly” error when choosing to omit sensitive information from the episode. 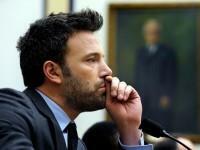 The producers of genealogy series Finding Your Roots violated PBS editorial standards when they omitted information about Ben Affleck’s slave-owning ancestors from the actor’s recent segment on the program, the public TV station said Wednesday. Recent research published by the Daily Beast on Tuesday suggests that Benjamin Cole may have been a slaveholder but not a slaveowner, a distinction that may not seem to be a difference to those of us in the modern era, but which would have been significant back in the 1850s. Still, the bottom line on Affleck’s great-great-great grandfather Benjamin Cole is this: he was a slaveholder in 1860, and may have been either a slaveholder or slave owner in 1850, and possibly both. 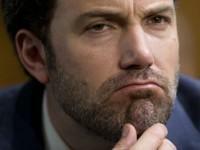 The relative ease with which Breitbart News was able to find these nine additional slaveholding ancestors of Ben Affleck calls into question the integrity of the genealogical research undertaken on Affleck’s behalf by Harvard professor Henry Louis Gates, executive producer of the “Finding Your Roots” series. 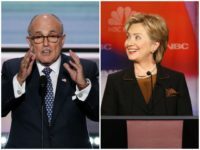 The question those conducting the PBS “internal review” of the Affleck-Gates controversy must be asking themselves now is this: how can a program that purports to present true family history be believed when it appears that much of the true history has been concealed, and some of the claimed history is simply wrong? PBS documentary Finding Your Roots, already under internal review over claims it censored information about Ben Affleck’s slave-owning ancestors out of a recent episode, has again come under fire for inaccuracies after Affleck’s mother denied she was ever involved in the 1964 Freedom Summer. 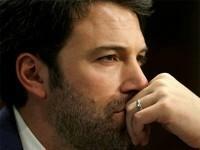 Hollywood movie star Ben Affleck and Harvard Professor Henry Louis Gates continue to revise recent history in their public statements surrounding Affleck’s successful pressuring of Gates, executive producer and host of the PBS series “Finding Your Roots,” to remove any mention of his slaveholding ancestor, Benjamin L. Cole, from the “Roots of Freedom” episode that aired on PBS in October. 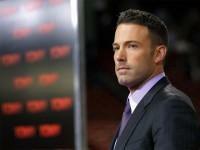 Ben Affleck revealed the name of his slave-owning great-grandfather on Wednesday, a day after saying he regretted asking producers of a PBS documentary to edit any mention of the ancestor out of a documentary television show. Breitbart News has tracked down one likely suspect for the slaveholding ancestor Ben Affleck wants to disown. It may be Benjamin L. Cole of Savannah, Georgia. In 1850, Benjamin L. Cole owned 25 slaves, according to the Chatham County, Georgia Schedule of Slaves enumerated in the 1850 United States Census. 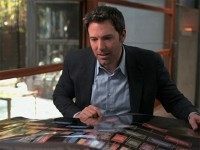 Ben Affleck took to Facebook on Tuesday to address the controversy surrounding censorship of his segment on the PBS television show Finding Your Roots. The integrity and reputation of PBS could be damaged by the revelation that the network censored information about Ben Affleck’s slave-owning great-grandfather out of the actor’s segment on the television show Finding Your Roots, several media professors said Monday.